Florida's Everglades National Park is huge, covering 1.5-million acres (607,000 hectares) of wetlands, but it is about four hours' drive away. For something closer to Orlando, check out 'Central Florida Everglades' around Lake Kissimmee. The best way to explore the unspoilt and protected swamps, marshes and rivers is to join an airboat tour, with some tours include a visit to an aviary and watch an alligator-handling show. Take to the sky and enjoy a sunrise flight as the hot air balloon glides across meadows and waterways of Central Florida. The experience lasts around an hour and concludes with champagne. It's said that Orlando has more than 150 golf courses with many of them playing hosts to PGA Tour and other championships. For an ultimate golf experience, get ready to tee off in one of the many perfectly manicured courses. If you are looking for an adventure on the American frontier, check out the Fort Wilderness Resort and Campground from Disney. From pools with a 67ft-long corkscrew waterslide, wagon rides, pony rides, fishing to archery, many of the recreation activites are perfect for children and families. 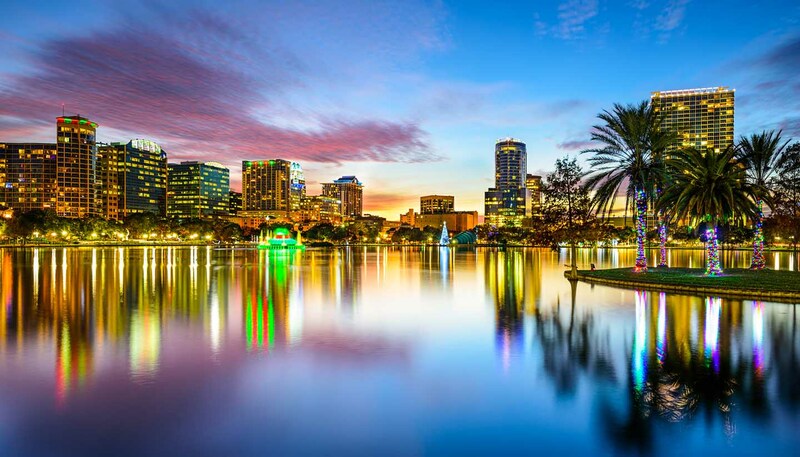 Nestled in the heart of Downtown Orlando, Lake Eola Park is a great place to kickback and feed swans and other birds living in the park. Visitors can also rent a swan-shaped paddle boat by the Relax Grill. A wheelchair accessible boat is also available.